For a long time now you have been asking me for ways in which you can support the podcast and website. I’ve spoken before about how I dislike platforms which people have to regularly contribute and which mean I have to provide more to compensate. I love making this podcast twice a month – I not only love recording the podcast and bringing you great content and awesome giveaways, news, reviews and interviews; but I also love editing the audio, writing the shownotes and spending quality time making this show. I don’t factor in my time into costs, but there are costs involved with producing the podcast and these include things like website fees prizes, travel and admin, but also things like bandwidth. The podcast listenership has grown so much recently that we almost exceed KB bandwidth allowance each month! In terms of your contribution I don’t really want to have a static tip jar facility in the side menu. 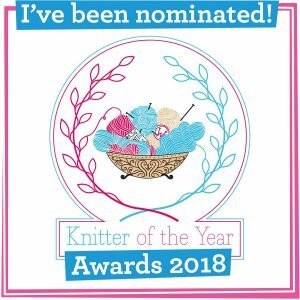 Those are great things (in fact, we have one at Wovember now), but listeners and readers are such a huge part of the KnitBritish and, next to wool, you are at the heart of what I do. If you so wish to contribute to the running of the KnitBritish then I feel the best way – and the most commonsense option to me – is to make you part of the show and offer you the opportunity to sponsor an episode. I aim to produce around 24 podcasts per year (there are usually a lot more). It is great to have sponsors for some of these episodes. I love to bring you sponsors of yarnies, dyers and events that I know you will enjoy and which fit with the KnitBritish ethos. How awesome will it be to open a limited number of sponsorship spots to you too? Benefits of sponsoring will include; an exclusive* KnitBritish project bag, screenprinted by The Knitting Goddess (RRP £25.00) and TWO skeins of limited edition yarn from Blacker Yarns (worth over £30). More details – and MORE GOODIES – to be revealed in due course. You have told me that you really want to support the show and I feel this is the best way to do that and simultaneously thank you sufficiently for doing so. I will open up a shop site in the coming weeks (date tba), there you can buy one of the spots. There is no date to sign up by, but when the spots are gone, they are gone – whenever that will be. (Can I also add that there is no way to “put your name down” or reserve a spot.) There will be more details of costs, of benefits and of the finer details soon. 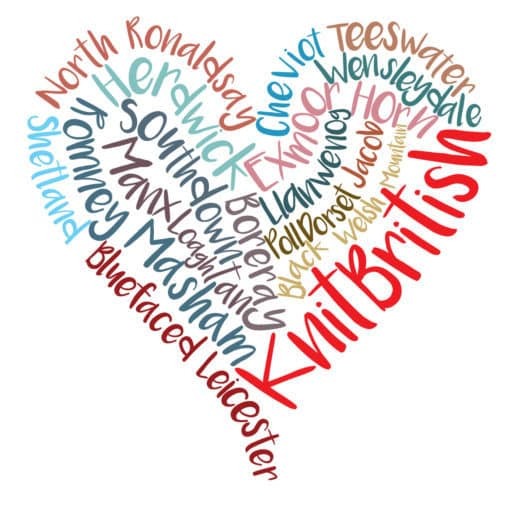 When we did the KB survey you told me that you would like to see some merchandise and so I will also be launching a KnitBritish tote bag in the coming weeks! If you want to support KB but don’t want to sponsor the show, this would be a stylish way to do it! By buying a KnitBritish bag you are not only awesome and helping to contribute to the making of the podcast, but by using it you are are also spreading the good word about KB on your flippin’ bag, while you carry your books, your knitting/craft, or your shopping! The bags have been screen printed by Joy and feature a different design to the exclusive Mucker’s bags. I’ve been hovering over publishing this for ages! I apologise for that. I’m always so incredibly moved when you get in touch to say you want to donate to KnitBrtish and, as I said, I wanted to make sure that what I do gives back to you in some way too. This opportunity is open to individual listeners and readers. If you have a business, please read here about sponsorship opportunities. **You can choose not appear on the show, but as a sponsor your name will be read out as show sponsor and appear on the website. Lovely idea, but sounds expensive. i didn’t mention a cost yet. Want, nay need, a bag! This is a great idea, and well done for having the courage and belief in the value of your product, your time, your energy to take this step! It’s hard to know how to raise the costs you need without putting pressure on your listenership, but I think you’ve chosen a good route. I hope you get a great response and I’m personally really grateful for all that you do and put out there. Thank you so much, Bron. I definitely want to make it a nice thing for those who want to take part. Hi Louise, I’d definitely be interested in this. Look forward to hearing more about it. Is there any way of being notified directly when information goes up? Hey there Alice, thank you so much. If you go to http://www.knitbritish.net/ you will see in the right hand side bar (under tweets) a subscribe to blog via email thingy. If you sign up you will get the posts in your inbox and will know about it first that way. Absolutely wonderful ideas. I will definitely be onboard. Look forward to more information. Love your posts and the Wool Tribe program I won earlier in the year. Thanks so much! I echo what Bron said in her post earlier today, it is a brilliant idea and Bron expressed whay I feel exactly. The idea of a KnitBritish tote bag is perfect too. Thank you for your podcast, which I love and believe me when I say that I don’t underestimate the amount of work and thought that goes in to producing it. What a lovely idea! I am thoroughly enjoying all of your blogs and podcasts. My knowledge of wool, yarn and knitting has increased exponentially in the past couple of months. I have taken to heart your encouragement to find more local wool. I have been reminded of the local wool in my stash and I have recently purchased a little bit more (not that I need any more yarn!). All this to say that I would be very interested in helping to support your efforts, although as always, we your listeners receive so much more than we could ever give back to you. I love this idea, I’m definitely going to be keeping a keen eye out! Lovely to see you daring to propose a different way of supporting a podcaster! You provide so much already in terms of information, community building and championing of a sector that it would lovely to see your efforts acknowledged by the ten places being snapped up quickly. I can’t wait for more details. thanks to you meg. Your email was the thing that really shaped this idea and the thing that i’d been muddling on for a while; trying to think of something “fitting”. SO thanks to you! Brava Louise. You have nothing to fear as you produce such an utterly awesome show that I am sure you will not be short of takers. I will be very interested myself, cost depending. Hopefully you will give us plenty of notice as to when they will appear in the shop? Can’t wait! What a great idea Louise and how much fun it will be to hear the ten participants on the podcast (I do hope they all choose to go on and presumably talk about their woolly passions too). I’m sure you’ll have no problems getting sponsors and the tote bags are a great idea too. Just wanted to say also how much I’m enjoying the Wovember posts – kudos yet again to you and Felix for all the work you do. 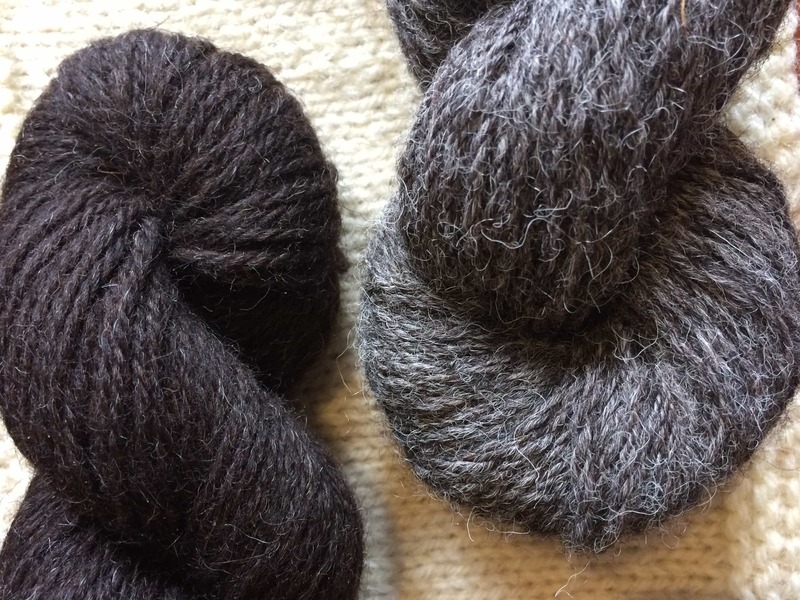 I totally agree with everything that Karen Looby said, your enthusiasm and love for British yarn makes each podcast really enjoyable to listen to. I found your podcast pretty much at the start of my knitting journey and thanks to you I’ve learnt so much about all the incredible and beautiful yarns that are out there and the people who work behind the scenes creating them. Thank you so much for all your very hard work, and the sound of those Knit British bags has me rubbing my hands together and oohing. 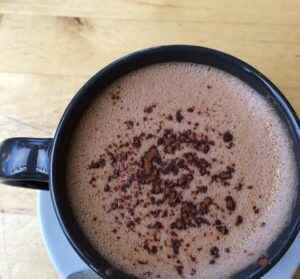 Love the idea and having worked on a formula to price my handknits if asked, it’s unusual for knitters to charge anything for enthousiasm, but it keeps us in tea and K bitterly goodness. I will certainly keep an eye out. Brilliant idea, Louise. I only found your podcast recently, but I have thoroughly enjoyed listening to your old and new episodes! You produce an excellent show, I am definitely not alone in appreciating the variety and quality of your content. Your ideas for raising revenue sound exciting- I’m already looking forward to getting my mitts on a KnitBritish tote bag! What a fabulous idea Louise. I live in Cornwall (10 miles from Blacker yarns) and the Knit British Podcast is such a big part of my life. I love investigating local yarn now and trying different knitty things. I listen to your podcast on my lovely walks in the countryside and I take a little note book with me so that I don’t miss out on any top info. Thank you so much and I can’t wait to order my tote bag and supporting your fabulous efforts. Hi Louise. My gorgeous husband says he’ll give me this for my birthday if I managed to snag one of the 10 places. I have a January birthday however. 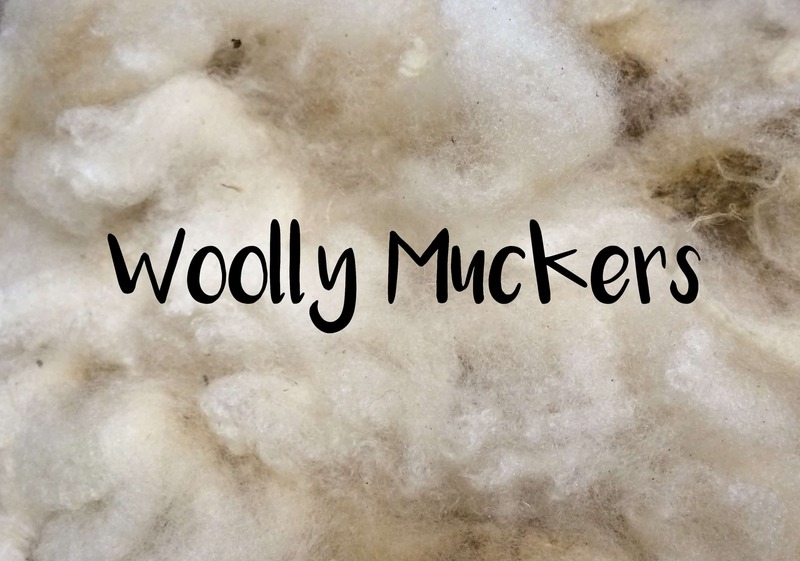 Have you any idea yet when you might be announcing/opening/launching the Woolly Muckers yet? Previous Postepisode 69 (dudes!) The EYF 2017 Scoop!